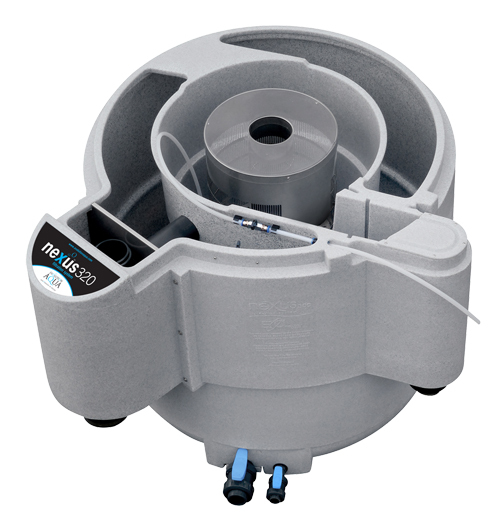 The Nexus 220 and 320 feature a re-designed Eazy filter which utilises the all new K1 Micro Filter Media, in a static bed, to deliver improved levels of mechanical filtration. 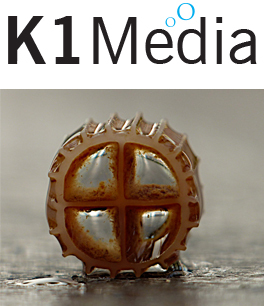 The Nexus filter systems also use the acclaimed K1 Media in the moving bed to deliver outstanding levels of biological filtration. 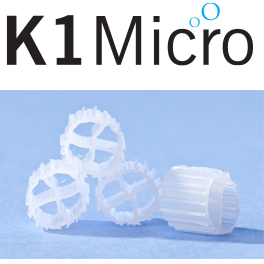 Together these filter media deliver crystal clear and healthy water. 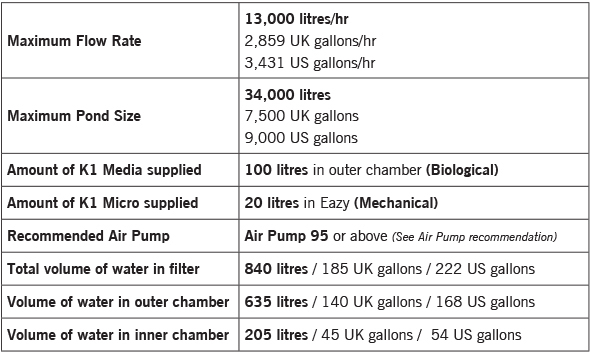 The Nexus 320 and 220 filter systems use two types of filter media to deliver optimum levels of clarity in your pond. 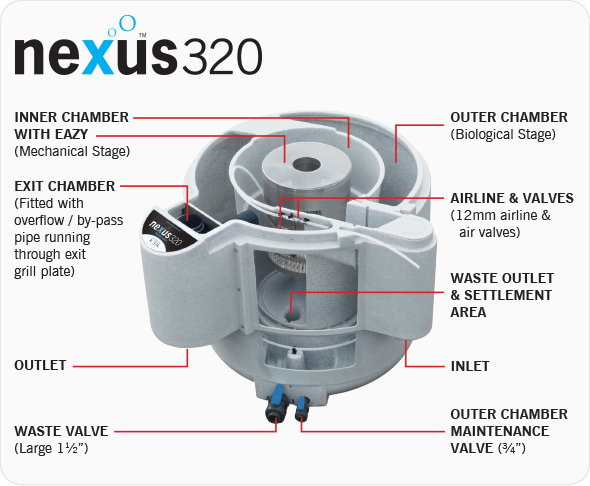 Inside the centre mechanical stage of the Nexus, there is a much larger area for solid waste to be captured and to settle. 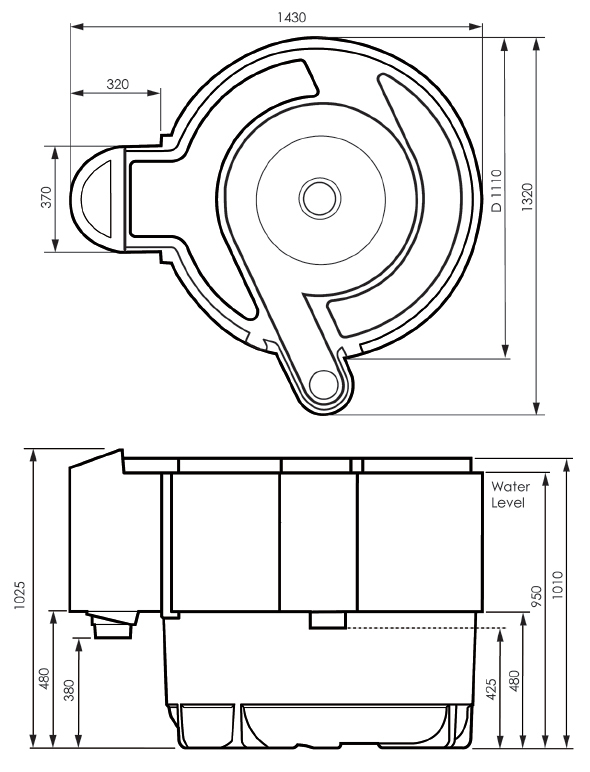 The Nexus filter is simple yet innovative. Water enters the Nexus via the inlet into the inner chamber which works as a basic vortex allowing larger solids to settle out. 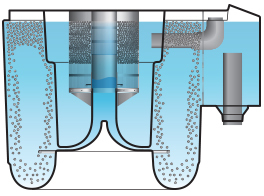 The water then passes through the Eazy where the finer particles are removed at the mechanical stage of filtration.